PRICE FURTHER REDUCED FOR QUICK SALE! 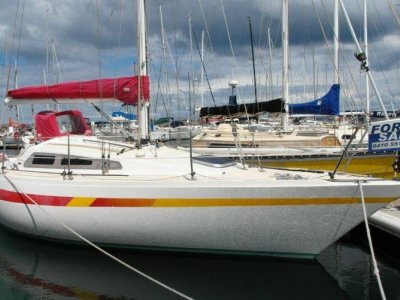 This 1990 built Elliott 9m is a fast modern styled cruiser-racer constructed under careful supervision to High Modulus NZ specs. 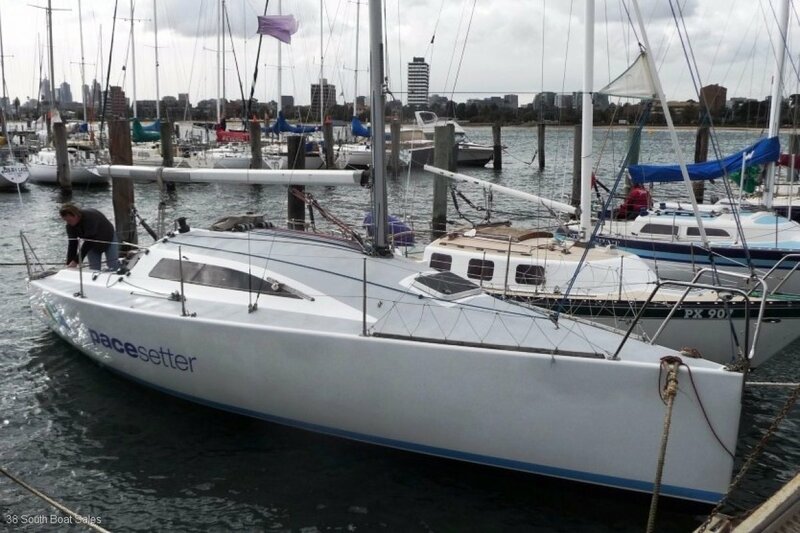 Fun to sail, she has a good wardrobe of composite sails delivering excellent performance. Recent upgrades include, VHF radio, Autopilot and GPS with plotter, marine toilet while a new Yanmar diesel engine with just 350 hours was fitted in 2011. The yacht was fully rewired in 2013. 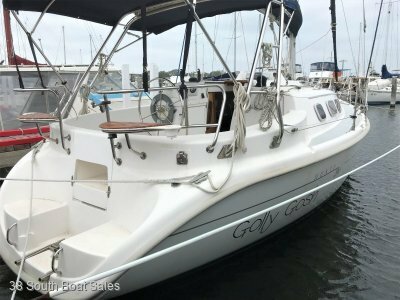 Good accomodation means she has much to offer for club racing or coastal cruising. Elliott boats are well regarded for their easy handling and good all round performance. This E9 is similar in concept to a Young 88 but with greater stability. 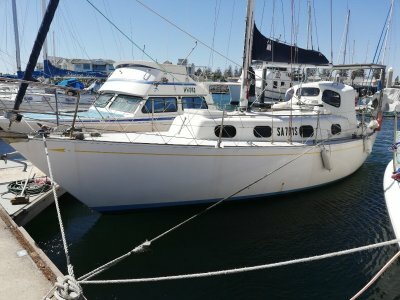 Just had decks repainted and annual maintenance/antifoul completed. For further information or to arrange your inspection in Paynesville on the Gippsland Lakes, VIC, please contact Cam Johns on 0419 465 025 or complete the on-line enquiry form. Simrad log and speed, Simrad Graphic sounder Simrad tiller pilot (All 2013) Navman 3100 Wind system, Navman 5100 GPS and plotter, GME VHF radio. Two bulkhead mounted compasses. Hooper Sails composite mainsail (2008), Composite No 1 and No 2 jibs (2013) No 3 jib (2008), 2 spinnakers (2008) 2 older spinnakers. Goldspar alloy double spreader fractional rigged sloop. 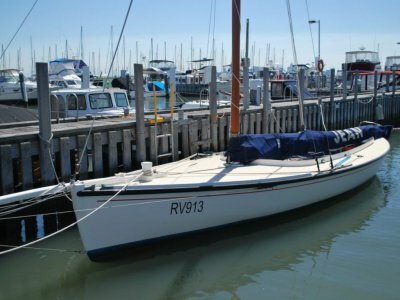 S/S Rod rigging 2006/7, Alloy boom with internal reefing lines, Rope tackle vang, Alloy spinnaker pole.